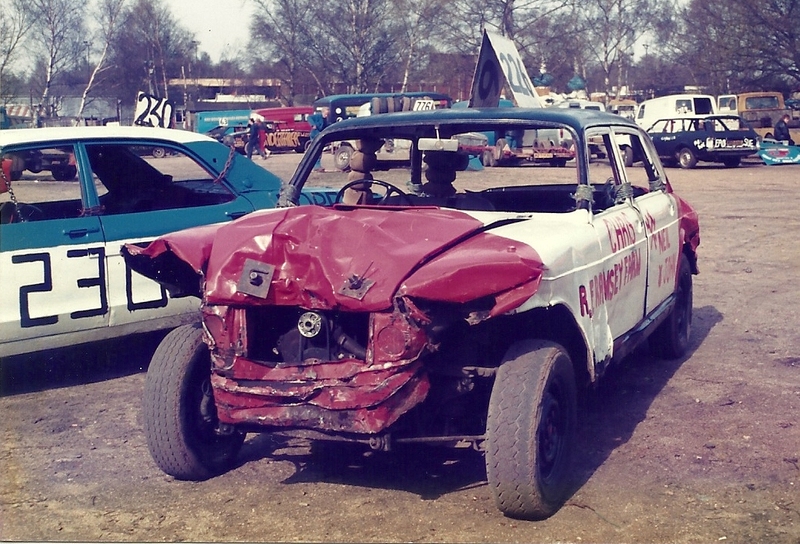 Despite the erroneous description in the ad, this is actually an ADO61 Austin 3-Litre, also known as the Land Lobster. Yes, really. This is a C-Series RWD inline 6 car, not FWD. Looks like an automatic. Hydrolastic. This would be a lot of work to get going. Someone should build it and invite me to drive it. So a buick V6 would go in there with an automatic no problem? I'll throw in for cage materials. I'm tracking mharrell, rb92673, bikejeff and type44 as teammates for Inde '20 (or maybe something sooner if the stars align). That will teach me to shoot my mouth off. All kidding aside, I would do what I can to help this magnificent beast see the track. Speaking of, what are you slating for Inde '19, Q? Inde '19 is the lightly ballyhooed and lightly leaked secret project that was supposed to debut at Inde '18. The diesel porsche needs a little more time than I have available, plus I need to spread the cost of fire suppression out a little for a multi car effort. ...for Inde, anyway. The timing of some of the other events is usually iffy with respect to my teaching schedule. In short, if you're prepared to sink a lot of time, effort, and money into this, I may or may not have your back. Bike Jeff, are you also active in the Ducati Monster forum? DD, I ride bicycles, one of my one time drivers has a couple of Ducatis though, his wife wishes he'd sell those and do something safer.